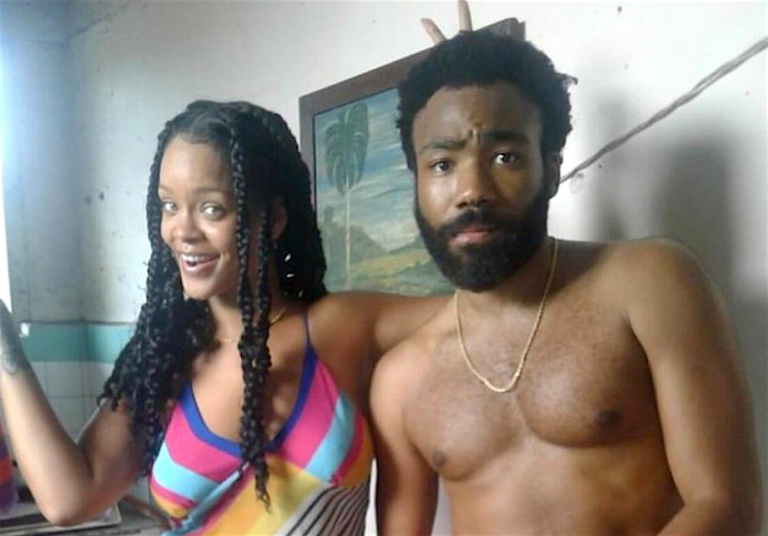 Donald Glover and Rihanna are co-starring in Guava Island, a new movie directed by Hiro Murai (Atlanta, Childish Gambino, Earl Sweatshirt). Rather than premiering on YouTube, the trailer (shown below) debuted at Gambino’s PHAROS festival in New Zealand over the weekend. The trailer arrives after the two stars and crew were spotted filming in Havana, Cuba this past August (see above photo). Letitia Wright and Nonso Anozie also appear in the film.